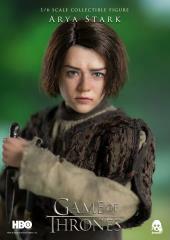 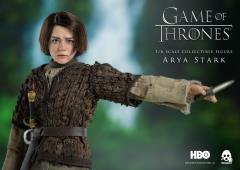 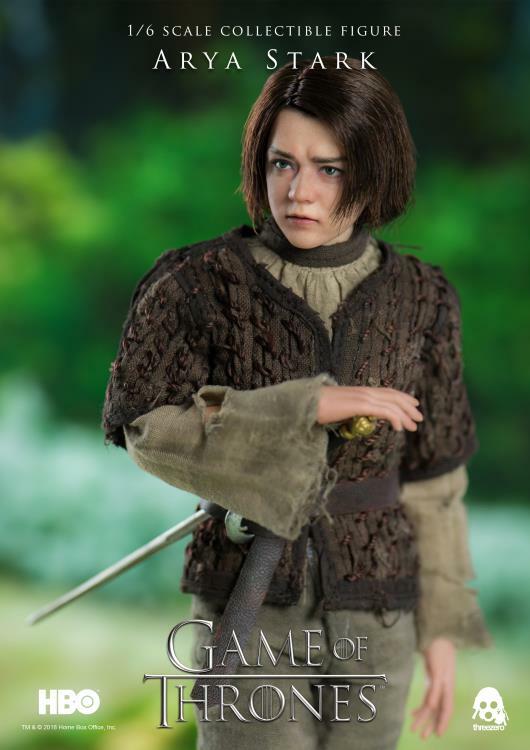 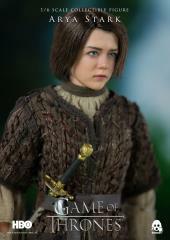 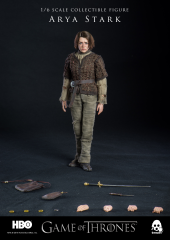 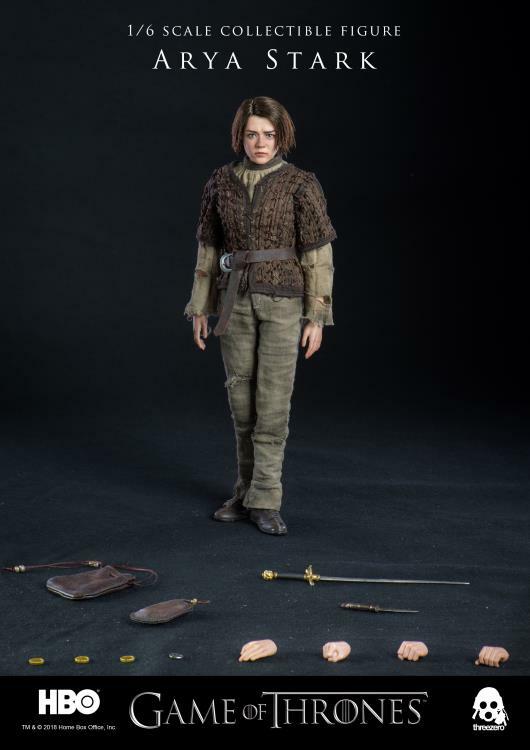 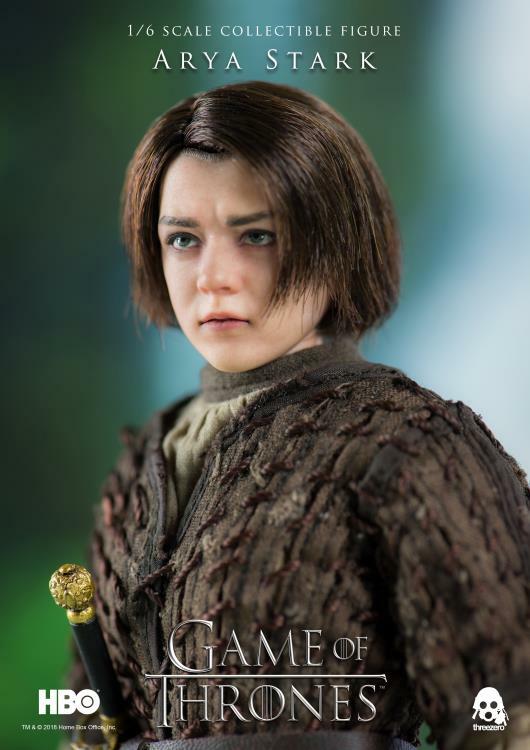 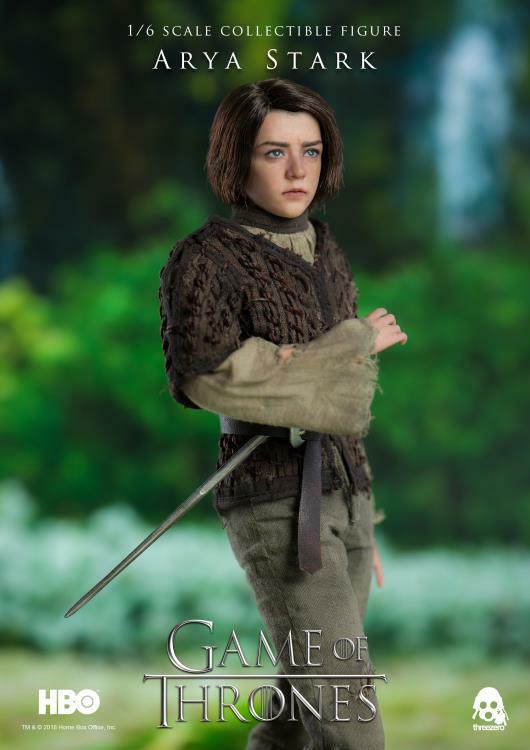 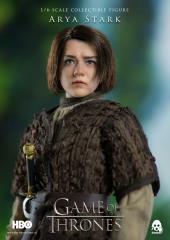 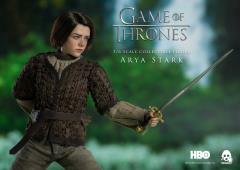 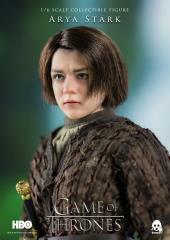 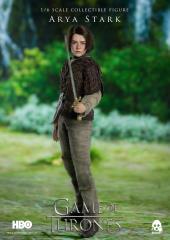 ThreeZero presents Game of Thrones' the Stark house warrior, Arya, as an articulated 1/6 scale figure. 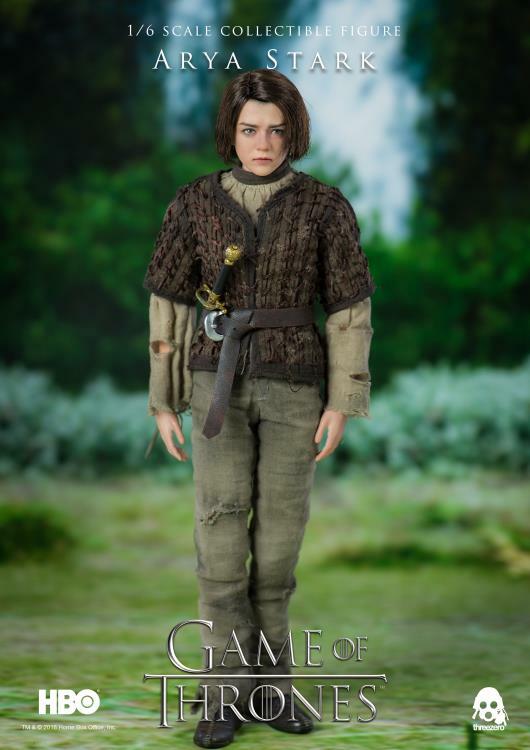 Arya Stark stands 10 inches tall and features a highly-accurate realistic likeness to the character as portrayed in the television series. 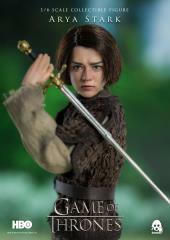 She comes fully dressed in custom tailored clothing and includes several interchangeable accessories including her trusty sword Needle.